Hornibrook, Murray and Charles Petitjean. 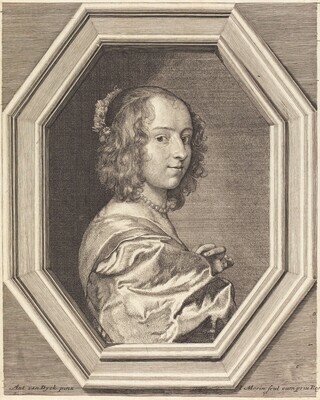 Catalogue of the Engraved Portraits by Jean Morin (c.1590-1650). Cambridge: University Press, 1945. The New Hollstein German Engravings, Etchings and Woodcuts, 1400-1700. (Wenceslaus Hollar, Simon Turner, author). Rotterdam: Sound & Vision Interactive, 1996-, no. 279, state iii/vi. Mazel, Jean. Catalogue raisonné de l'oeuvre gravé de Jean Morin. Paris, 2004.